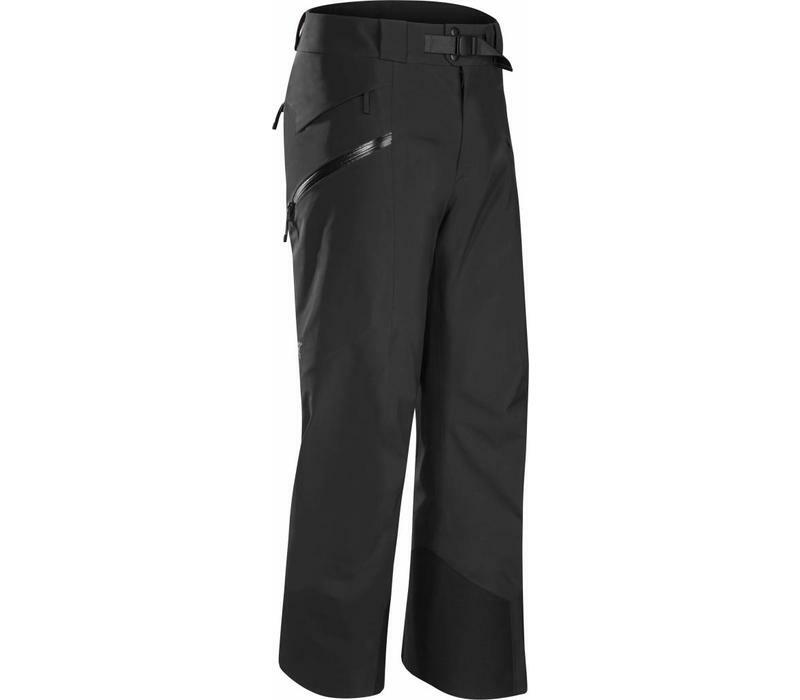 Designed for big mountain freeride and skiing, the Sabre Pant is waterproof, breathable, hardwearing and combines a Regular fit with clean lines. Storm protection and warmth come from the N80p-X GORE-TEX 3L fabric with 3L lo-loft soft shell construction. The material brushed liner provides light insulation and a flannel like feel. Features are selected specifically for the snow, and optimized to handle the transition from groomed run to backcountry descent. Ultra durable 100D laminated Cordura PowderCuffs seal out snow and fit under snowboard highbacks, and colour matched Keprotec instep patches prevent abrasion and ski cuts. Large cargo pockets with internal volume channel cargo away from impact zones, and double side zips can open wide for rapid ventilation on ascents and traverses. Integrated Slide n Loc attachments link with the Sidewinder SV, Sabre and other compatible jackets, creating a unified clothing system that helps seal out driven snow.